I actually have a couple favorites in Paris. Maize: it is healthy and fresh, casual and cozy. My husband was the one who discovered this little gem. 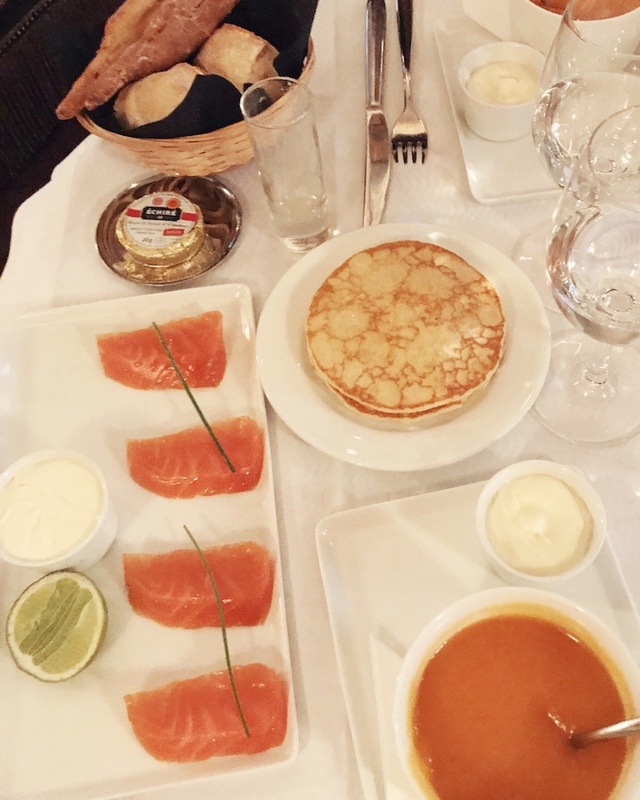 Caviar Kaspia: is just fabulous and I go at least once every time I go to Paris. 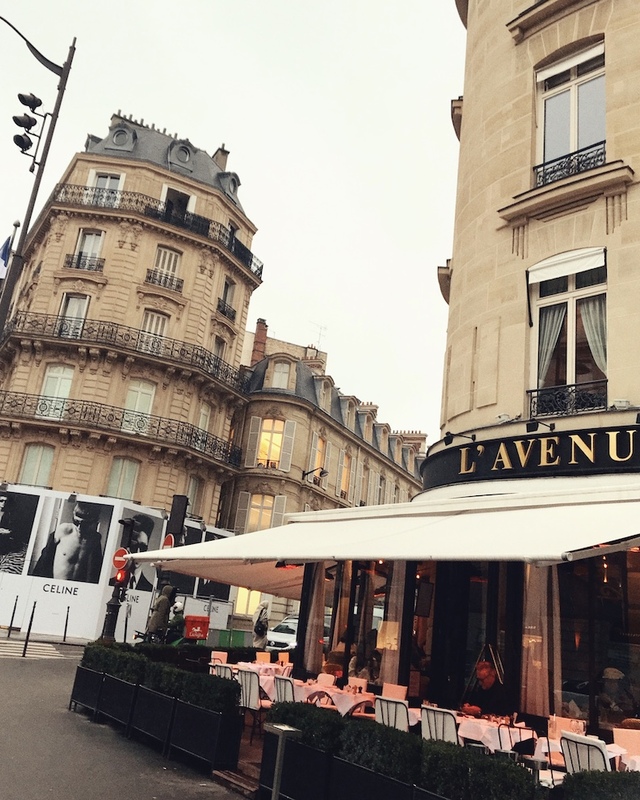 Le Voltaire: it’s very Parisian, cozy and I love to have early dinner and watch the sunset overlooking the Seine. Kinugawa: delicious sushi restaurant in one of the most chic neighborhoods (9 rue du Mont) of the city. My favorite roll was the mango roll. 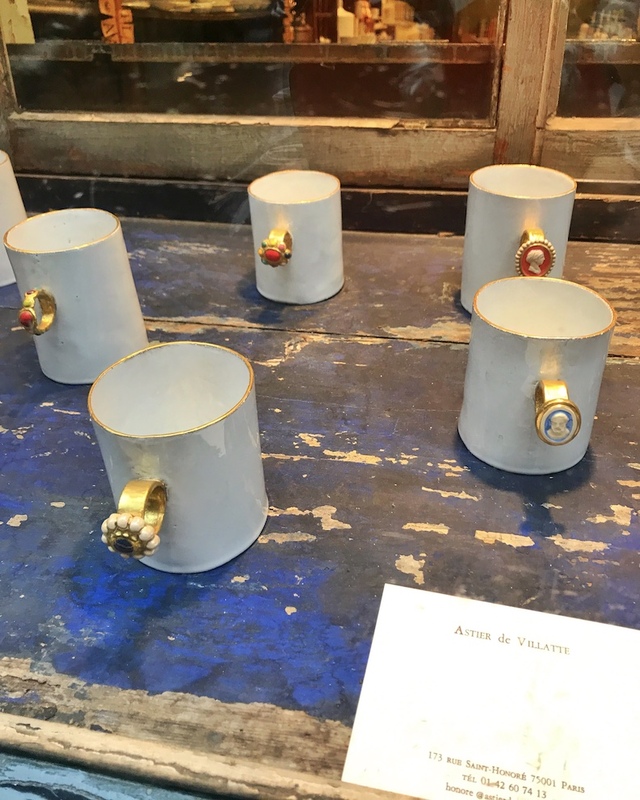 Astier de Villate: from the second you set foot in the store the dark wooden floors make you want to look up and find the cutest mug to take home. Balagan: I went with my lovely friend Tata Harper and had a blast from the drinks like the Bloody Balagan to the Israeli food don’t think about the names of the menu just order everything is delish. Located in Rue Saint Honoré. La Belle Epoque: there are trendy vintage dishes like the french style burgers. Cod House: the food was delicious, the vibe and design is very chic and instagrammable. The cod and hamachi (very lemony) is a must try. Hotel l’amour: this picture perfect spot is where art meets fashion, if you are into pink you will love it. Hotel Terrass: the rooftop is my favorite it’s a must stop for breakfast or a drink around 5 pm. This is a little cute place in Montmatre. 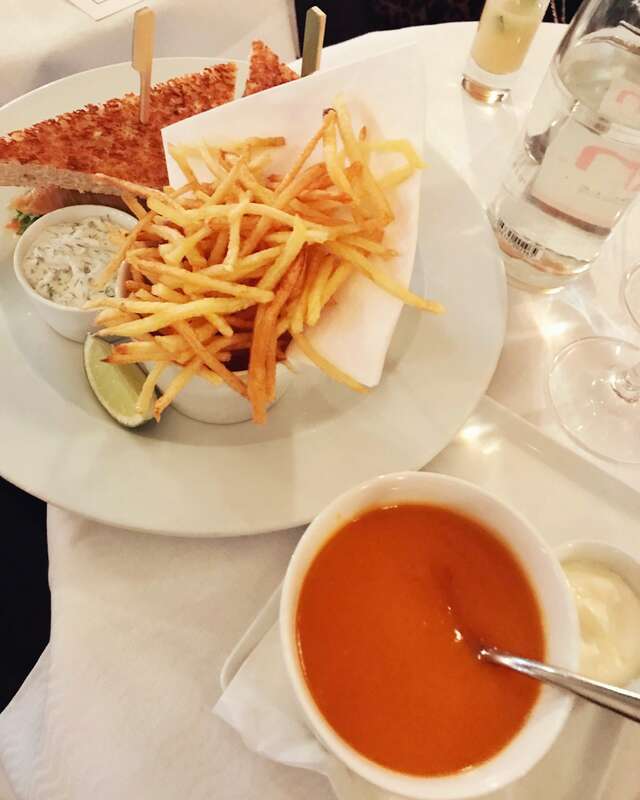 L’Avenue: as the starter order the tomato soup, continue with the the Salmon club sandwich & french fries or caviar and smoked salmon, it’s all delicious. It’s a place to see and be seen (people watching). Cafe de Fleur: Best hot chocolate in Paris and the lentil soup is a great starter, the club sandwich is my go to. It’s been in Paris for forever so if you haven’t gone, check it out because back in the day it was a popular hub for famous writers and philosophers. There is a second floor so if its full downstairs run upstairs and see the flourishing flowers on the windows. 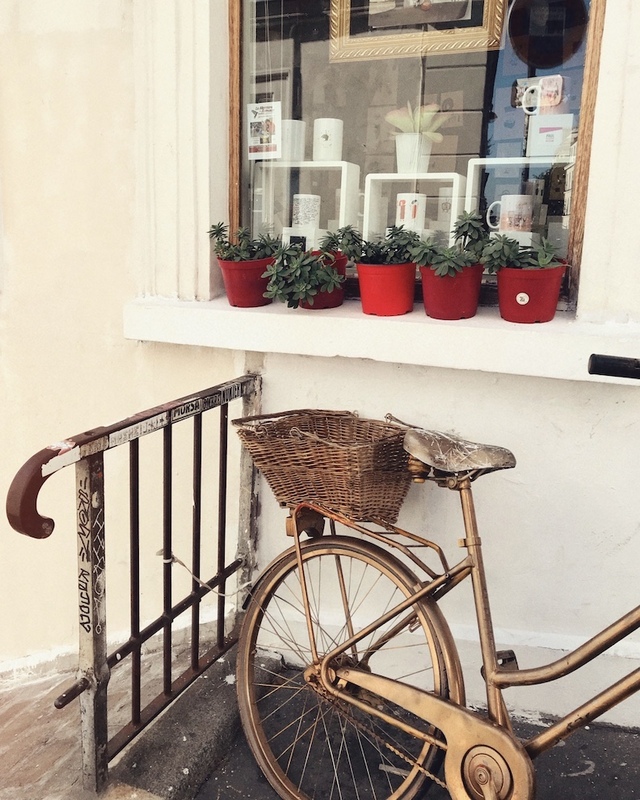 It’s in my favorite neighborhood in Paris and it’s the perfect spot to walk around and shop in little vintage boutiques to find decoration, clothing and accessories. If I had one day in Paris I would go vintage shopping and walk around Le Marais. Merci is an amazing store and the cafe downstairs is delicious with a variety of vegan dishes. I love this department store, Le Bon Marché because I find gifts for my husband and little boy. One stop in Le Marais is 9 Confidentiel, a gem boutique hotel for its Art Deco. 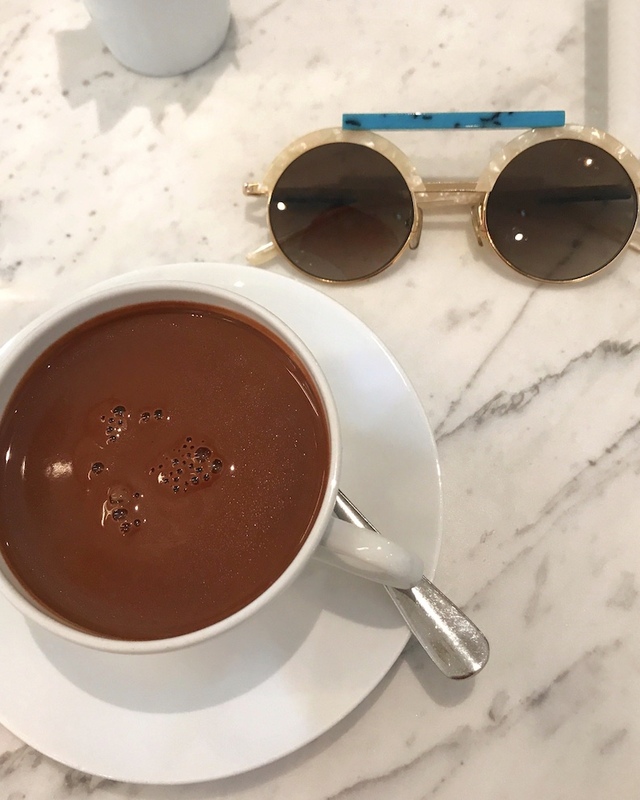 When looking for accessories, I like them to be bold and statement pieces so I like to go for Maison Mitchen, and Laurence Dacade. I like to play around with handbags like this one is a limited collection designed by Margherita Missoni x Ximena Kavalekas.